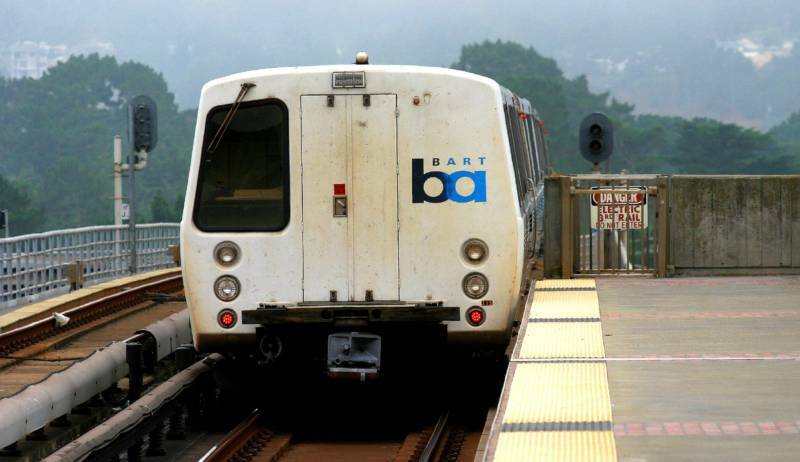 BART needs to stop "tap dancing" around and quickly install surveillance cameras on all of its trains, the chairman of the Bay Area's regional transit planning agency said after learning that the system was moving slowly in putting the devices in place. "I don't know what's taking so long," Dave Cortese, chairman of the Metropolitan Transportation Commission, said in an interview. "I think there's a genuine concern that BART isn't able to move quickly enough on some of these basic maintenance- and security-type issues." In January, BART announced that it had begun the process of buying cameras for its cars after it was revealed that most of the current devices on its cars were decoys. That disclosure came after a fatal shooting aboard a train at the system's West Oakland Station. But last week a BART spokesman said the agency was still in the testing phase for the cameras, that the system's board of directors would vote in September on buying equipment for the devices and that work to completely install them would take a year after that. "Again we get the tap dance, 'Well, we're working on it,' " said Cortese, who is also a Santa Clara County supervisor. "You got to work a lot faster. This is the Bay Area, not a Third World country." One elected member of BART's elected board of directors said Monday he wants to see rapid installation of the security cameras. "Passenger safety is of the utmost importance," Robert Raburn, who represents a district including Alameda and parts of Oakland and San Leandro, said in an email. "My intention is that the camera installation proceed in the near term." But at least one of his colleagues says he plans to vote against such a contract when it's expected to come before the board. Zakhary Mallett, who represents communities in western Contra Costa and northwestern Alameda counties, says he's opposed to installing surveillance cameras on BART's current train cars. That's because next year the transit agency will begin running its new generation of train cars, which will come equipped with the devices. "I was never a proponent of rushing to install the cameras in the first place," Mallett said in an interview. "Our new fleet is going to have cameras. I'm concerned that this is investing a lot of money in a short-term asset." Mallett added he doesn't believe cameras would have prevented the fatal shooting of 19-year-old Carlos Misael Funez-Romero of Antioch in January. "What cameras provide are extra eyes when the human eye might miss something." he said, adding that BART had captured images of the shooting suspect as he departed West Oakland Station. "Surveillance cameras on the trains would not have made a huge difference," Mallett said. BART spokeswoman Alicia Trost said Monday that the agency is -- and has been -- moving to install test cameras this year. "We initiated the project immediately as promised," Trost said in an email Monday. BART has reviewed different types of cameras, ordered wiring, installed two prototypes onto train cars and trained its staff on how to put the devices into place, according to Trost. Footage from the test cameras can be used by police, Trost said. "They are the real thing," she said. The contract for the cameras and other recording equipment is expected to cost $500,000. This post contains reporting from KQED's Peter Jon Shuler.